Blis, the global location data technology platform, has launched operations in Indonesia with the opening of a Jakarta office and the appointment of Quenten Smith as Agency Group Head, amid further Asian expansion plans. With over 13 year’s industry experience across multiple APAC territories and having previously held senior positions at companies like Dentsu Aegis Network, Omnicom Media Group and Yahoo, Mr Smith is an accomplished digital marketer and sales lead. He brings across knowledge in sales, ideation, strategy and planning through to execution. More than 75 million people in Indonesia will use smartphones in 2017, according the eMarketer, and this figure is projected to rise to 92 million by 2019. Furthermore, mobile ad spend is predicted to grow by 80 percent this year and will form over 38 per cent of total digital ad spending by the end of 2017, rising to more than 52 per cent next year. Much of this mobile ad growth is at the expense of TV and print advertising, according the eMarketer report, while OOH spend, which location data complements, is on a steady predicted growth curve for the next five years. In addition to a Sales team, the Indonesian office includes full Account Management, Ad Operations and Creative teams, underscoring Blis’ commitment to clients in the region for both managed media and self-serve. 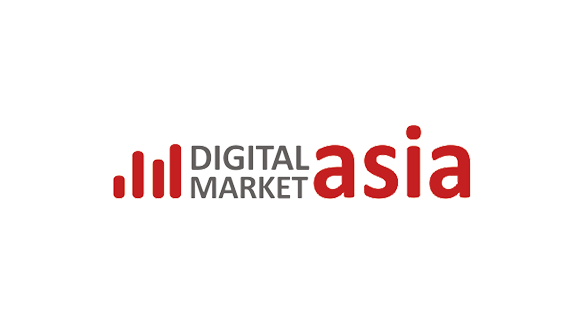 Based in the heart of Jakarta’s financial district, the Golden Triangle, Mr Smith will spearhead Indonesian business development by introducing Blis’ location data advertising technology and solutions to agencies based there serving Southeast Asia’s largest digital advertising market. He will report to Richard Andrew, Regional Business Director Asia, Blis. “Jakarta is a strategic choice for Blis’ Asian expansion roadmap, and our market entry is bolstered by the addition of Quenten, one of the top media experts in the region. Establishing operations in Indonesia, one of the region’s major media and commercial hubs, ensures we are well positioned to engage top media agencies who are increasingly shifting budget to programmatic spend, while others are still heavily invested in managed media,” said Mr Andrew. “I’m thrilled to join Blis at a time when the firm is poised for further Asian growth and expansion. Backed by market-leading products and highly accurate data sets, Blis is well placed to offer regional media agencies, trading desks and data partners the best services to lead the market with our Movement data and reach the best audiences at scale,” said Mr Smith. Prior to his appointment at Blis, Mr Smith was the Country Lead for ControlShift Indonesia, a global digital marketing technology company. He was previously Digital Director at Dentsu Aegis Network, Indonesia and Business Director Platforms, Asia for Omnicom Media Group in Singapore. Click here to read the original article.